Most women naturally tend to put on a little weight as they get older and quite frankly very few of us like it. One of the most popular diets of recent years has been the Atkins diet which is based around a fairly high protein intake with reduced amounts of fat and carbohydrates. This has certainly been successful for many women in helping them to lose weight but it now appears that particularly for menopausal and postmenopausal women it could cause problems in terms of bone loss. Research from Purdue University published online in the Journal of Gerontology: Medical Sciences has established a link between such diets and an increased likelihood of bone loss leading to osteoporosis. 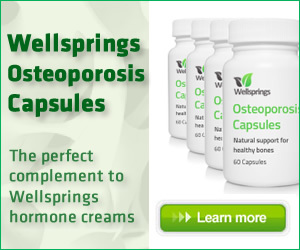 Currently, 1 in 3 women and one in 12 over the age of 50 suffer from osteoporosis. And osteoarthritis affects around 8 million people in the UK over the age of 40. It is known that when overweight, postmenopausal women reduce their energy intake to successfully lose weight, they can lose less lean body mass if they consume higher amounts of protein particularly of lean meats, such as pork, beef and chicken, in their diet. These studies are only small in scale. The first one studied 28 women’s individual daily diets which they then reduced by 750 calories to achieve a one-and-one-half-pound weight loss each week for 12 weeks. The women ranged in age from 43-80 with 15 on meat-free diets with protein from vegetarian, dairy and egg sources, and this made up 18 percent of each woman’s energy intake. This amount of protein was comparable to the recommended dietary allowance of 0.36 grams of protein per pound of body weight per day. The diets for the other 13 women included 30 percent of energy from protein with 40 percent of the protein from lean meats and 60 percent of the protein from vegetarian, dairy and eggs. The good news is that the women, on average, lost about 19 pounds each, but unfortunately those who ate the higher-protein, meat-containing, diet lost bone mineral density as well. The second study was larger and consisted of 43 postmenopausal women who each ate a 1,250-calorie diet for nine weeks. All participants consumed the same 1,000-calorie vegetarian diet, but 15 women also received 250 calories from chicken breast meat, 14 women received 250 calories from beef and 14 women received 250 calories from shortbread cookies and sugar-coated chocolates. Although the cookie and chocolate part of the diet certainly sounds more like my kind of calories, what this study produced was that again all of the women who ate the energy-reduced diets successfully lost weight, but the groups that consumed the higher-protein meat-containing diets also lost bone mineral density compared to the control group. Certainly losing weight is a good goal if you are overweight, but it does seem that specifically for older women who may be overweight and menopausal that the protein diet is not perhaps the healthiest way to go. Research shows that older women are at risk of losing bone when they lose weight, and if you have any concerns about osteoporosis – or family history of it – then you might want to consider a vegetarian high protein diet or another regime that will lose the weight without losing the bone mass. A very simple self-help tip is to get on those boots and walk every day as it is one of the best methods of helping build up bone mass and avoiding painful conditions like arthritis. Another factor to bear in mind is that both of these studies were relatively short at just nine and 12 weeks respectively so it is not possible to say definitively what the long-term effect of high protein diets might be if they had studied this over a longer period. While there is no doubt that progesterone helps build bone, women who are also low in oestrogen may not be breaking down old bone as effectively as they can. In that case, if you have a low body weight or symptoms such as vaginal dryness you may also need a combination cream that has both hormones.